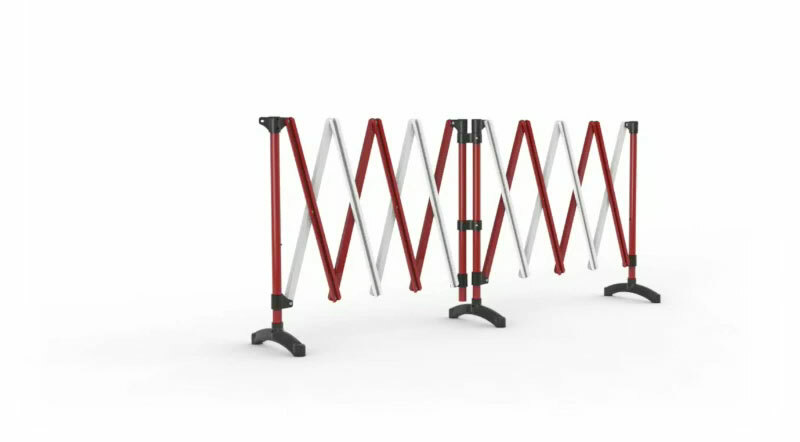 The Flexi expanding barrier system in the Port-a-Guard range, is unique in its design and unlike any other folding mobile barrier you will see in today's market. 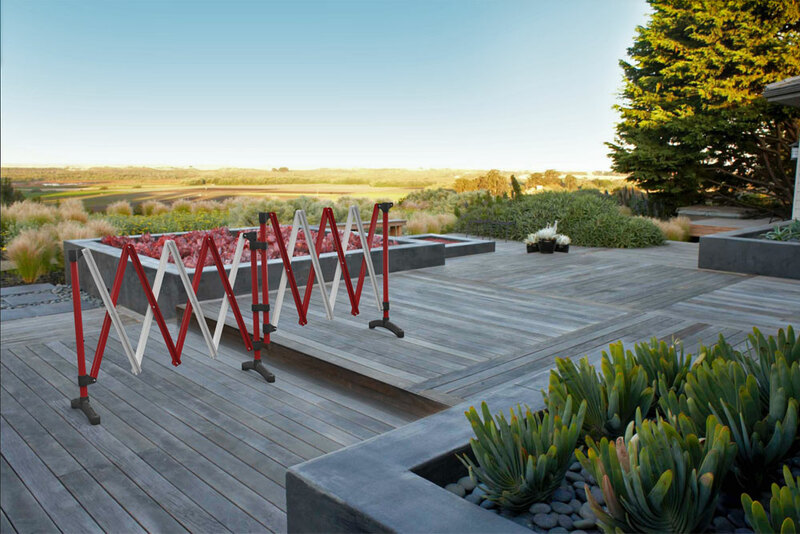 Apart from its ability to expand out to 5.4 metres, it also pivots at the middle through a full 270 degrees and can step up 300mm for changing floor levels. Available in Red and White or Black and Yellow colour combinations. 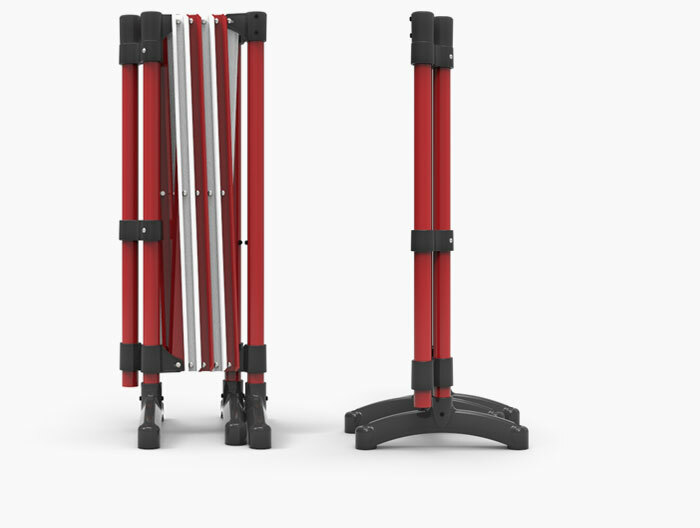 We are happy to help you with any enquiries you have about our Expandable Barriers. Alternatively, please submit the form below, including any details you can supply that help to explain your requirements, and we will respond promptly. Great for use where uneven floors are present. Aluminium and high-tech plastic construction. Available in two colour combinations. Wide 400mm feet for increased stability. Free wall receiver and sign mount brackets. 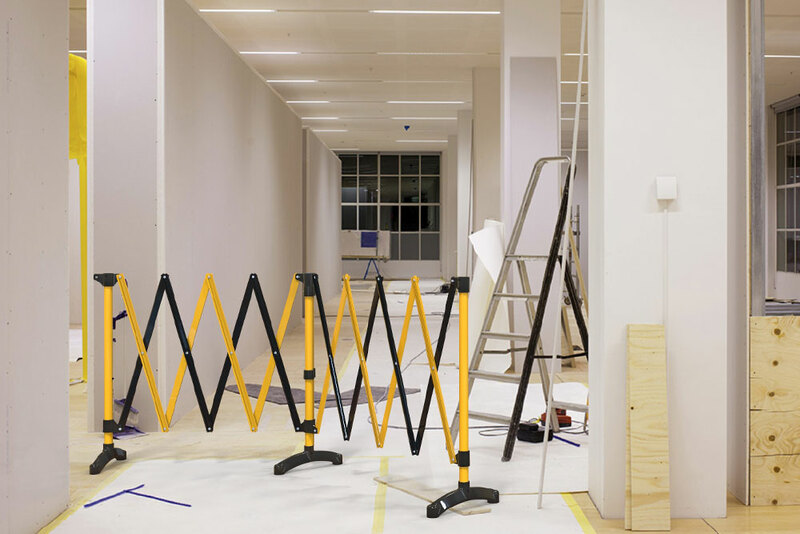 Expandable barriers are used to temporarily deny access to unsafe or unauthorised areas in the workplace. Suitable for commercial, construction and industrial areas. 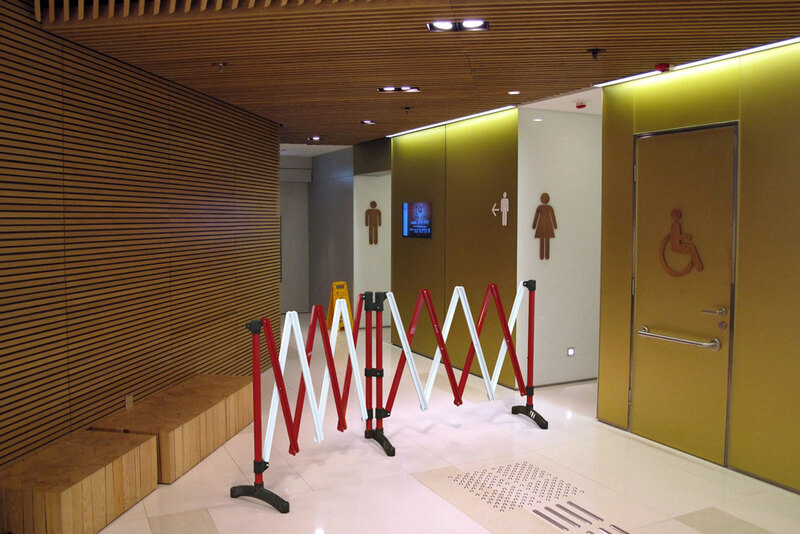 Ideal for protecting employees from hazards in the workplace or deter the public from entering unauthorised areas. Description: 2 x 2.7 metre portable expanding barrier. Finish: Powder coated Red/White or Black/Yellow aluminium and Black ABS. Width: 2 x 2.7 (5.4) metres expanded. BPG2RW Port-a-Guard flexi expanding barrier 2 x 2.7 metre - Red/White. 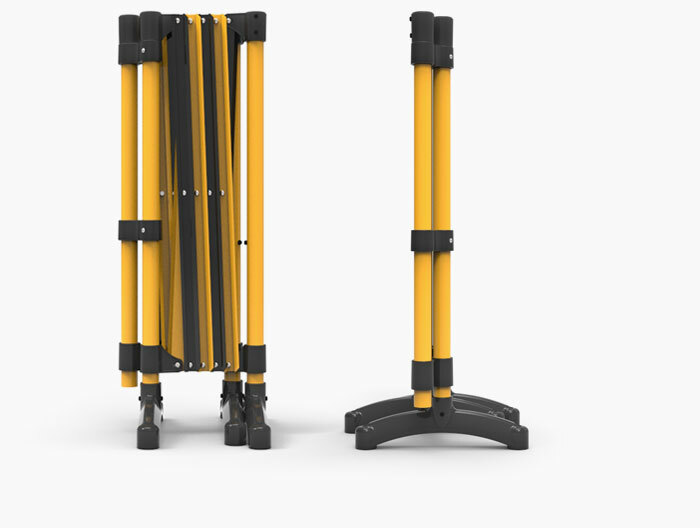 BPG300BY Port-a-Guard flexi expanding barrier 2 x 2.7 metre - Black/Yellow. BPG-LC Locking castors for plastic feet (sold separately). BPG-LPC Locking castors for single post (sold separately). BPG-C Castor for single post (sold separately). BPG17-RW Replacement Slats - Red & White. BPG17-BY Replacement Slats - Black & Yellow. BPGA4-SH Sign pocket - A4. BPGA5-SH Sign pocket - A5. BGK4 Below ground kit for mounting post.